"Surviving cancer is always worth celebrating, and helping to turn potential tragedy into a party is something the American Cancer Society’s Anne Gilberti has taken to be part of her job. 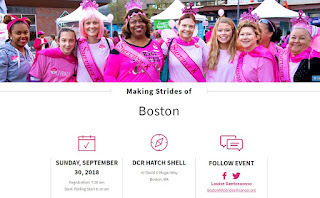 In 2014, Gilberti took part in Avon 39 The Walk to End Breast Cancer. She wanted to continue the effort, but did not have someone to sponsor. Less than a year later, she didn’t realize she would be funding her own cause, as she was diagnosed with breast cancer in 2015. At the time of her diagnosis, she was a mother to three children, and knew she needed to be there for them." 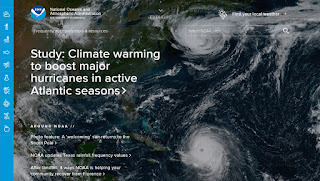 "The Atlantic’s warmer waters triggered the unusual number of major hurricanes last year, according to a new study that predicts the region could see a couple of extra whopper storms each year by the end of the century. Six major hurricanes — with winds of at least 111 mph — spun around the Atlantic last year, including Harvey, Irma and Maria that hit parts of the United States and the Caribbean. Since 2000, the Atlantic has averaged three major hurricanes a year. Before that the average was closer to two. It may go up to five to eight major hurricanes a year around the year 2100, according to a study in this week’s journal Science. “We will see more active hurricane seasons like 2017 in the future,” said lead author Hiro Murakami, climate scientist and hurricane expert at the National Oceanic and Atmospheric Administration."